In the June issue out very soon we have a Staffie special in Adopt Me and a feature on rebranding the dogs in attempt to help more of them find homes. In our July issue we'll be looking at why there are so many Husky types finding themselves in rescue and we'll be featuring as many of those types of dogs as possible to go with that feature so please do spread the word. 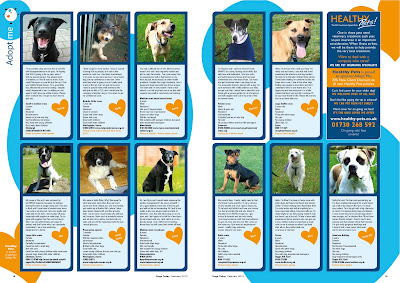 It is completely FREE to have dogs looking for a home featured in Dogs Today. It really couldn't be more simple (see below), plus we really want to hear from people who have rehomed a dog we have featured as the readers love hearing what happens to these lovely dogs. 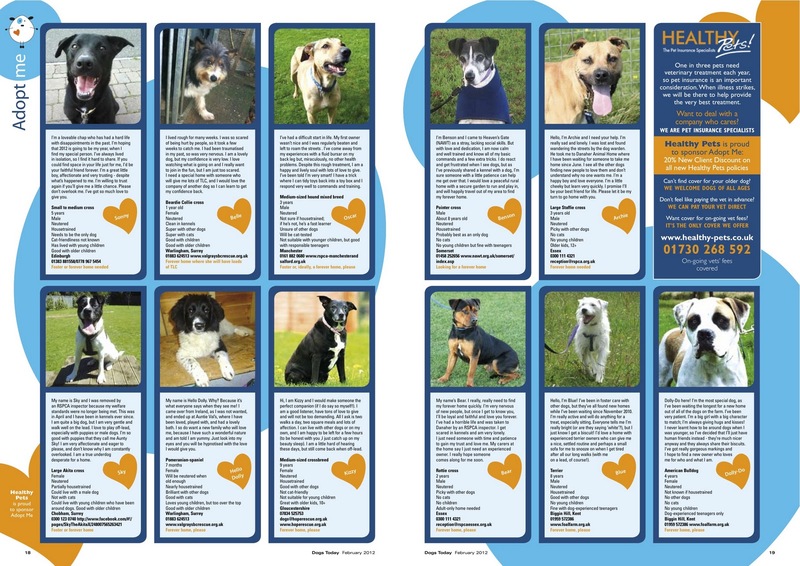 Would you alike some magazines containing your featured hard to rehome dogs for FREE? Why notleave some copies in your vets, doctor's surgery, dentist ....you never know where you might find Mr or Mrs Right for one of your dogs! We just need £10 to cover the courier and you can have a stack of that issue while stocks last! (UK mainland only - other destinations on application) phone 01276 858880 during office hours or email jodie@dogstodaymagazine.co.uk to arrange. And do tell Jodie about any dogs that have found a perfect home so we can feature them. 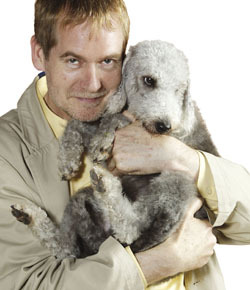 Do you have any dogs you'd like to feature in the next Adopt Me?